https://www.youtube.com/watch?v=btcDbJ0u-j0Choosing the location of your restaurant is a task that can not be taken lightly. Above all else, you need to make sure the location matches the concept. "How big will your restaurant be? How much rent can your restaurant pay? How will people come to your restaurant? Is there parking nearby if people are going to drive there? Is there foot traffic if you expect people to walk in? Is there public transportation nearby for people to get to your location?" It's your job to make sure that all of these things align with your goals. One thing you can do when choosing a location is visit it at various times of day. Check out other businesses around the neighborhood. Based on the area, you should be able to get a sense for what types of businesses are doing well and which ones are suffering. Something to remember is that the location has to make financial sense. You may have found the perfect location for your type of restaurant, but if the money isn't there, it isn't there. Rent should always be taken into consideration in relation to your revenue and profitability. "It is something that you’re going to have to come up with every month to pay that landlord. And you want to make sure that your restaurant will generate enough revenue to pay for that." You also have to think about how you will accept deliveries and how materials will be transported to your location. After you've settled on the general area for the restaurant, the next thing to do is look at specific spaces. "Is this space big enough? Does it fit the aesthetic idea that you have for your restaurant? 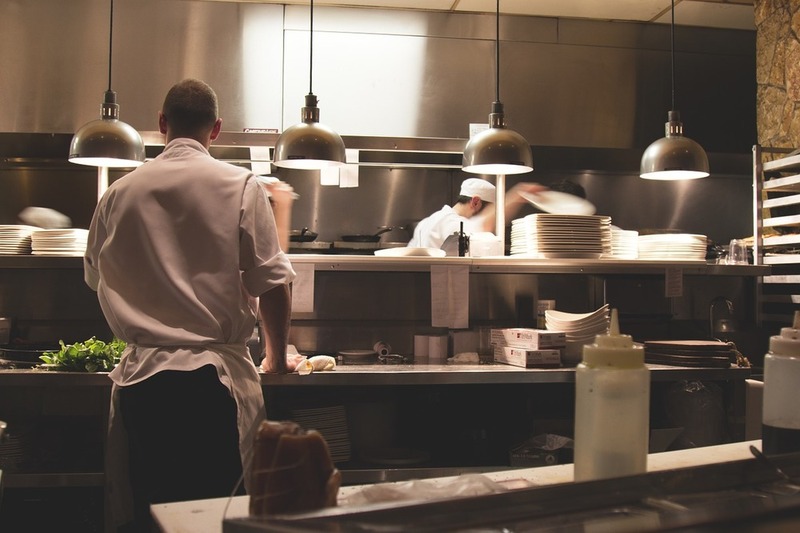 Does it fit the operational needs of your restaurant? How much is it going to cost to build out the restaurant in this location?" If the space is raw, you have to account for what that's going to cost you to make the space operational. It probably won't be cheap. Even if you are simply taking over a space, you need to figure out how much it will cost to get the restaurant up to your standards and to fit your business's aesthetic. https://www.youtube.com/watch?v=eaPO66oqvlsAfter you've come up with a great idea for a restaurant, you're going to want to start thinking about financing. If you've got the cash this step is easy. If not, there's a few options at your disposal. If you ARE going to use your own money, be careful. The restaurant industry is very risky so it's easy to lose money fast. If you decide to not use your own money, read on. One thing you can do is create a detailed business plan to entice investors to exchange funding for a percentage of your business. If you decide to take out a business loan, be prepared to take on serious debt. Because banks don't typically lend what you ask for, you might want to settle with a lower cost business plan. You may also want to consider buying into a franchise. If funding is limited, this would be a good way to get a foot in the door. If you have a strong brand, there's a chance you might be able to negotiate a landlord contribution when financing your restaurant. Whatever path you take, you have to ensure you have enough funding to cover your start-up costs and any money you might lose on a slow day. https://www.youtube.com/watch?v=7HcaObhA82IWhen starting a restaurant, it's important to decide what you want your metrics of success to be. You need to figure out how much money you plan on making on your investment, what the look and feel of the restaurant will be, and what the experience of dining in your restaurant will be like for your guests. "To run a successful restaurant you have to observe." When observing your staff, analyze how they are working. Are they performing their tasks well? It's also you job to observe the guests. Does it look like they are having a good time? How long is it taking their food and drinks to get to them? When you see something that's going well or something that's going wrong, you need to spring into action. "You need to respond either by supporting and encouraging what’s going well and what’s positive or by correcting what’s not going so well and what may not be achieving your vision of a successful restaurant." One of the most important things to watch, although its not immediately obvious, are the numbers. Of course, you want to make a restaurant that people actually want to go to. However, if the money isn't coming in, you won't be open for long. Your investors might not be too happy about this. With this in mind, it's important that you keep track of how many people are coming to your restaurant and at what times of day. Also keep tabs on the average check amount. Above all else, you must keep track of your profitability. "Is your revenue sufficient? Do you need to build revenue? Are you spending too much on food or beverage or labor? Do you need to cut back in some area of expense so that you’re making a profit?" Even though it might feel overwhelming, you have to keep track of employee efficiency, customer satisfaction, as well as your profitability statistics. This is a fun and highly rewarding industry if you put in the time and effort. What Is the Restaurant Business? https://www.youtube.com/watch?v=g04Dt413VN8Although it may be challenging at times, the restaurant business is unlike any other. Few other businesses allow you to make such an impact on your customers. "You give them an amazing experience. You treat them well. You care for them for a period of time, and I believe that in a short period of time, you make their lives better." One of the most important things about the restaurant business is that it requires you to work together with your team. The front of house, back of house, and management staff must all work together for the business to succeed. You must learn how you can collaborate most effectively with people working inside and outside of your restaurant. "It’s a team sport with your vendors, with the farmers who grow the food, with the wineries that produce the wine." Building relationships is another extremely important aspect of the restaurant business. Not only do you have to build relationships with your guests, but you must also focus on fostering connections between colleagues and vendors. Another thing to remember is that although the restaurant business is fun, it's also very demanding. No one ever said constantly standing on your feet and making guests happy is easy. This is fast paced, hard work. Moving around and staying busy is what makes this business so exciting.